I am so thankful for a spur-of-the-moment decision to stop by Manchester Hill Winery in Circleville, OH. owner). 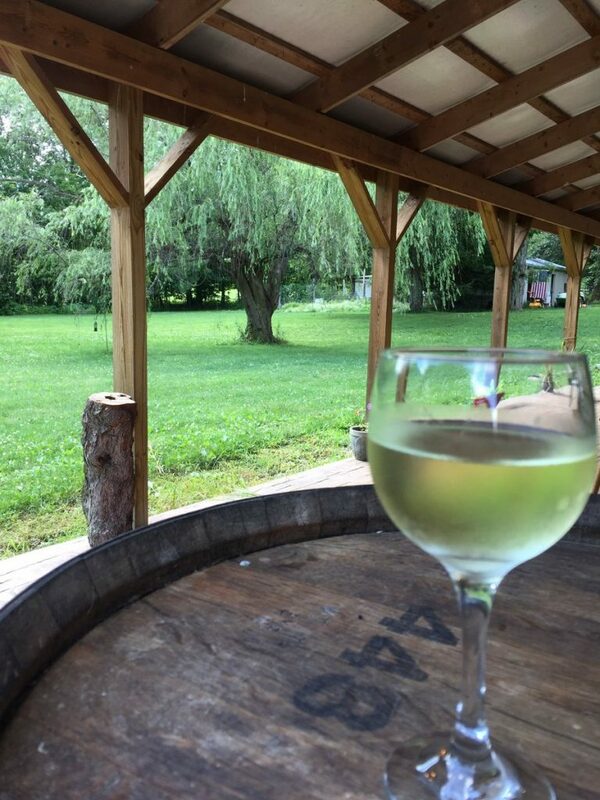 It is no longer a farm market / winery….but they are now concentrating solely on the wine. As of the time of this blog post they only have four wines bottled for sale, but several more are on the horizon and I can’t wait. e wines they currently had available for sale, a few more available for tasting (not yet bottled for sale but available for tasting and by the glass) and more that would be coming soon. I sampled five wines which included a Dry Riesling, Strawberry, Sweet Red, Pink Catawba and House Red. 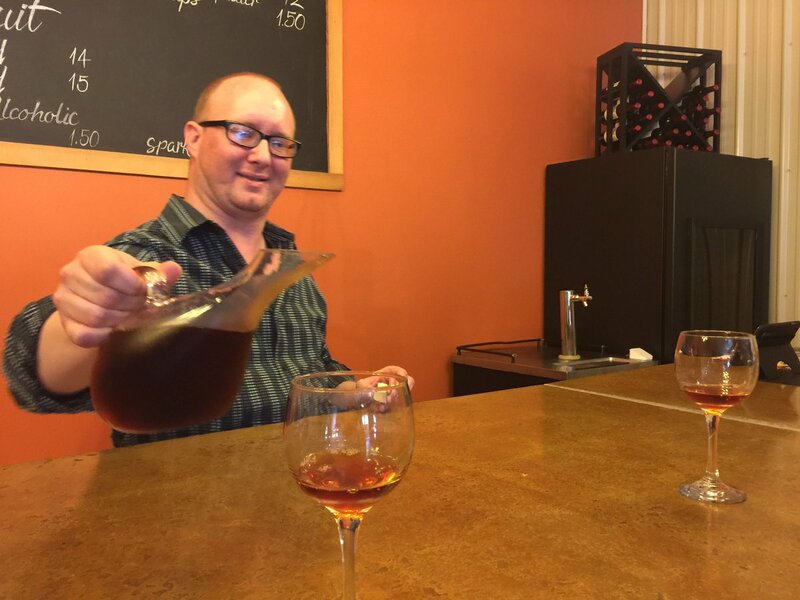 I’m a dry wine drinker, so I liked that even the sweeter wines I sampled were not syrupy sweet. My favorite by far was the Dry Riesling – very light, crisp and refreshing. The winemaker does it in a German-Style and I enjoyed it very much. I also loved the House Red – a complex dry red blend perfect for pairing with a steak or dark chocolate covered espresso beans. Manchester Hill also offers a menu of tasty treats – a cheese board, Mediterranean platter or chips so you can plan to stay for a spell. It was the perfect day to sip a glass of Dry Riesling outside where I was able to have an in-depth conversation with the winemaker. He is knowledgable, talented and I would watch for great things to come from this newer Central-Ohio Winery. Wines to be offered in the near future: Seyval Blanc, Vignoles, Niagara, Sweet Riesling, Concord, Blackberry, Winter Solstice Iced Wine…plus both a dry and a sweet cider.